Cerro Catedral is a beautiful snow covered mountain located about 18 kilometers away from Bariloche. It is situated inside the famous Nahuel Huapi National Park of Argentina. The mountain is largest skiing center in the whole southern hemisphere and one of the largest in the world. The entire ski trails of the resort put together are a massive 120 kilometers long. The resort has one of longest skiing seasons of anywhere in the world. The snow is perfect for skiing for about 100 days on a stretch. It is quite easily one of the best snowparks in all of Argentina. Cerro Catedral has complete facilities for your ski adventure. 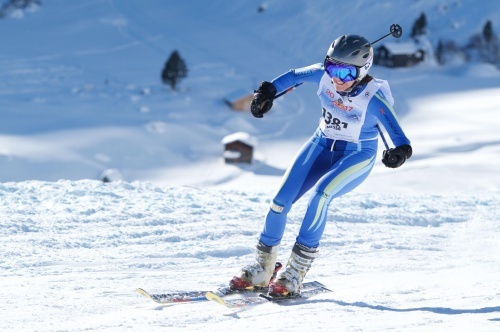 The resort is both perfect popular with tourists and skilled professionals who come seeking the thrill of sliding down the snow-covered slopes in top speed. Hundreds of thousands of people visit the resort every year, and the place is covered with numerous hotels and restaurants to cater to all their needs. The resort is so large that the climatic conditions differ from one part of the resort to the other. While the places lying at a higher altitude have a tundra-like climate throughout the year places lying lower enjoy a semi Mediterranean type climate during the summer. This is not something many ski resorts around the world can boast off. The name Cerro Catedral means The Cathedral in English. 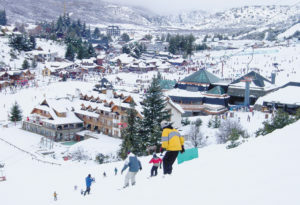 Cerro Catedral is one of the first ski resorts to have been established in all of South America. This historic location has seen a sea change over the years and is now a highly modernized resort capable of catering to thousands of people at a time. The different sectors of the park were unified recently, thereby increasing the accessibility to the different trails. There are 53 of them at this resort. While most of the trails are of intermediate difficulty, there are specific ones available for both beginners and advanced skiers. Cerro Catedral is one of the first ski resorts to have been established in all of South America. This historic location has seen a sea change over the years and is now a highly modernized resort capable of catering to thousands of people at a time. The different sectors of the park were unified recently, thereby increasing the accessibility to the different trails. There are 53 of them at this resort. While most of the trails are of intermediate difficulty, there are specific ones available for both beginners and advanced skiers. Skiers of all disciplines can enjoy the slopes of Cerro Catedral. Off-piste skiing is also available for those seeking it. Other than skiing the resort offers dedicated snowboarding trails designed with much care and attention by experts. These trails are filled with rails and bumps for snowboarders to test their abilities and showcase it to the world. Catedral has also played host to a number of national and international tournaments over the years. 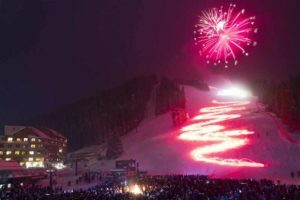 Apart from the tournaments, various other festivals are also held here, the most famous of them being The Downhill Torch Parade. 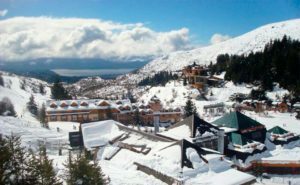 Cerro Catedral is just about an hour away from the beautiful city of Bariloche. So, you can either choose to stay in the city to travel to the resort every day of your stay, or you can choose to stay at the base village. Catedral is one of the very few ski resorts to have a permanent base village that is occupied throughout the year. There are a number of hotels ranging from 4-star boutiques to dorm room type ones available for stay. And the same goes for restaurants. So, as far as food and accommodation go, you will be spoilt for choice. Other things to do in the restaurant including attending ski school, having fun at the entertainment center, dancing your time away in one of the many discos or just going from one bar to another. After all, few things are better than a tankard of warm beer on a cold, snowy night.